Established in 1999, Kalyani Carpenter Special Steels Ltd. (KCSSL) is a joint venture between Kalyani Group and Carpenter Technology Corporation, USA. A trusted name by global corporates, Kalyani Carpenter Special Steels with its manufacturing base in India is recognized as a leading manufacturer of speciality and alloy steel. Annual Capacity is 2,40,000 tons. 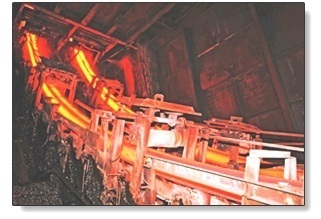 KCSSL IS THE LARGEST PRODUCER OF ESR PRODUCTS (3000 TONS PER YEAR) AND AUTO VALUE STEELS (4800 TONS PER YEAR) IN INDIA. KCSSL is part of USD 2.5 Billion dollar KALYANI GROUP - One of the leading industrial houses in India having core business in steel ans steel base prodcuts, forging and Automotive Components. Carpenter technology with it's headquaters to Reading, Pennsylvania, has been in the business for over a century and is recognized the world over as a producer of speciality steels like stainless steel, tool steel, valve steel and other steels for special applications. KCSSL manufactures a wide variety of special steels for different applications and caters to industry specifications including IS, BS, AISI / SAE, DIN, JIS, GOST specifications or as per customer’s specific requirements. Customer delight is an inspiration at Kalyani Carpenter and is Committed to high standards of customer satisfaction.